AI is taught at many different Schools and Universities. 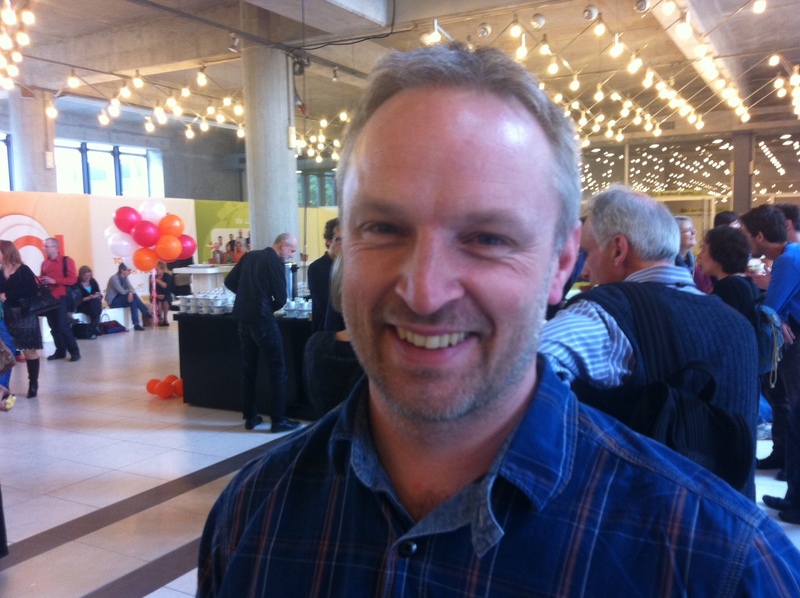 Daniel Richardsson from Sweden is a teacher at Mid Sweden University. His AI course runs at the Quality Department at the Faculty of Techical and Sustainable Development. He is also AI consultant and…. an athlete. What brings him here, to #2012WAIC? Daniel is sure that the conference will bring him things that he can use in his daily work. ‘But don’t ask them what they are right now!’ He laughs. And then explains how he sees the benefit of hearing all other practitioners’ stories. “By listening to the stories of others, I have experienced these events a little bit myself. The mirror neurons in my brain were triggered, so it is almost as if I were there. I almost feel like I did it myself. So I will use parts of those experiences with me. I am curious to see how that will turn out! What I will do in class, questions I will ask. After ‘experiencing’ an AI summit in Brazil with thousands of people – which was one of the stories I enjoyed – working with my small class will be a piece of cake … “ Smiling, he is off to the next workshop. This is the fourth and last in a small series of participant’s portraits. Just to give a glimpse of the great diversity of people who attended and their range of stories. Other portraits are of Rafael, Grace, Jean & Perla and Shelagh.